Are you culture and nature inclined? 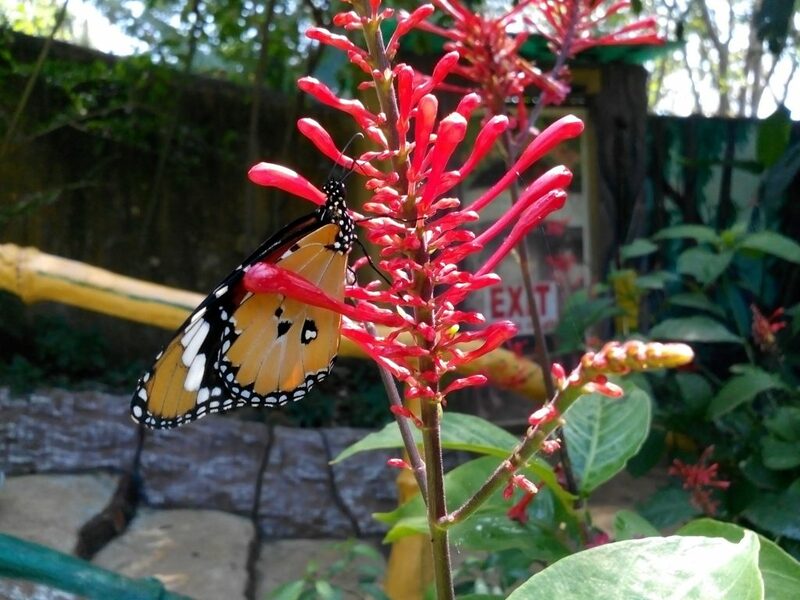 Get the glimpse of both worlds here in Palawan Butterfly Garden and Tribal Village! 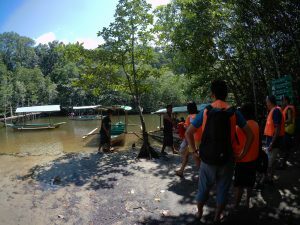 We are coming fresh from our Honda Bay Island Hopping! But we are now ready for our Puerto Princesa City Tour, Day 2. This place is not really included in our itinerary. We thought that we could have more beautiful butterflies in a different place. 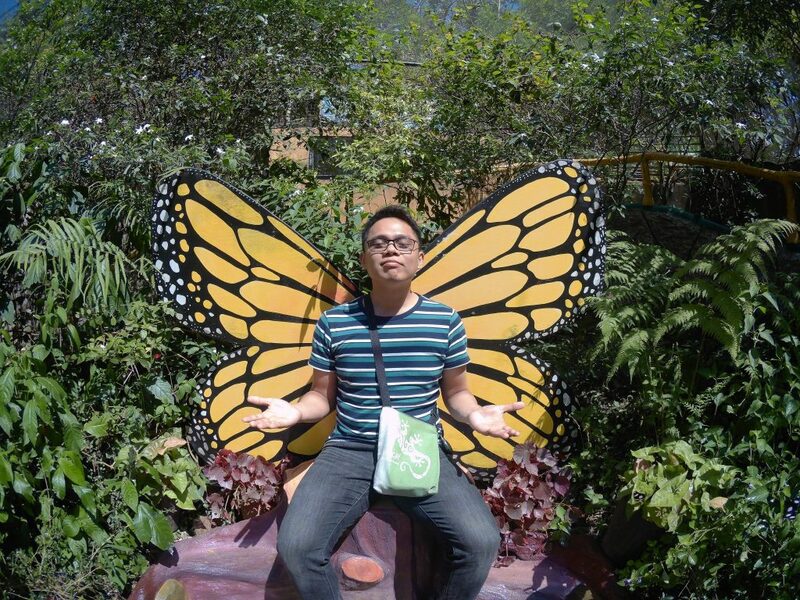 So, we removed Palawan Butterfly Garden on our plan. But, as you can guess, not everything went as planned. What happened is you can call a last minute decision. Our friendly tour guide slash driver Kuya Russian was too eager for us to have a brief visit to the place. 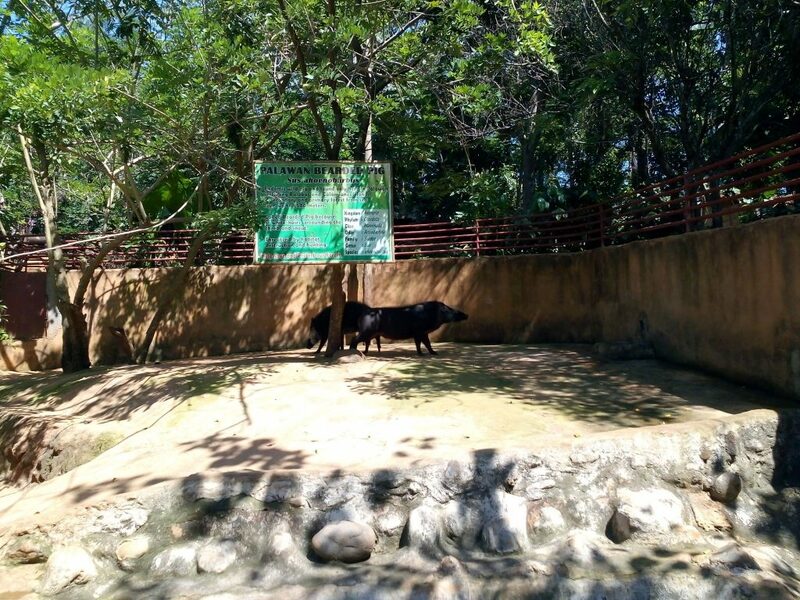 We told him that we only have about 2 hours left to visit Crocodile Farm, most of it will be travel time. 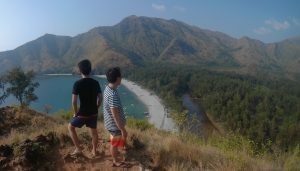 We need to catch an afternoon trip going to Sitio Sabang. He insisted it was possible, then after we said yes, he drove us furiously but safely. 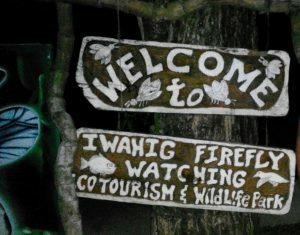 Welcome to Palawan Butterfly Garden and Tribal Village! 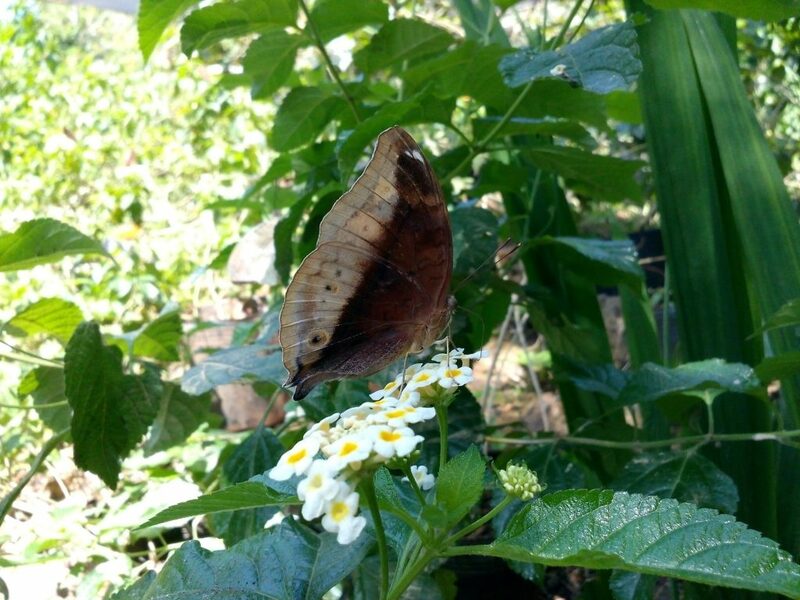 With a lengthy name Palawan Butterfly Ecological Garden and Tribal Village, you can arrived on a conclusion that the place has butterflies around. With a small village inside? Yes, you are correct. But, you can also find crocodiles, pigs, scorpions, gecko and even a snake inside! 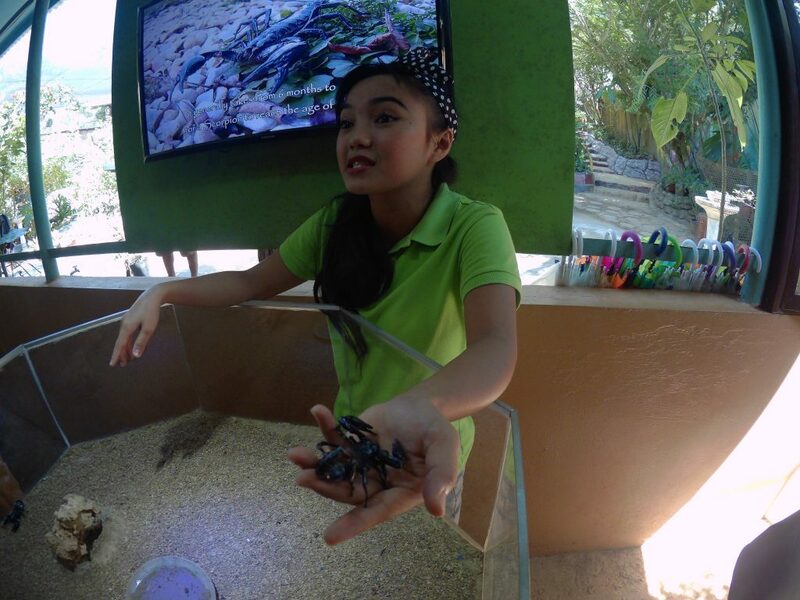 Our guide showing a Malayan Giant Scorpion. 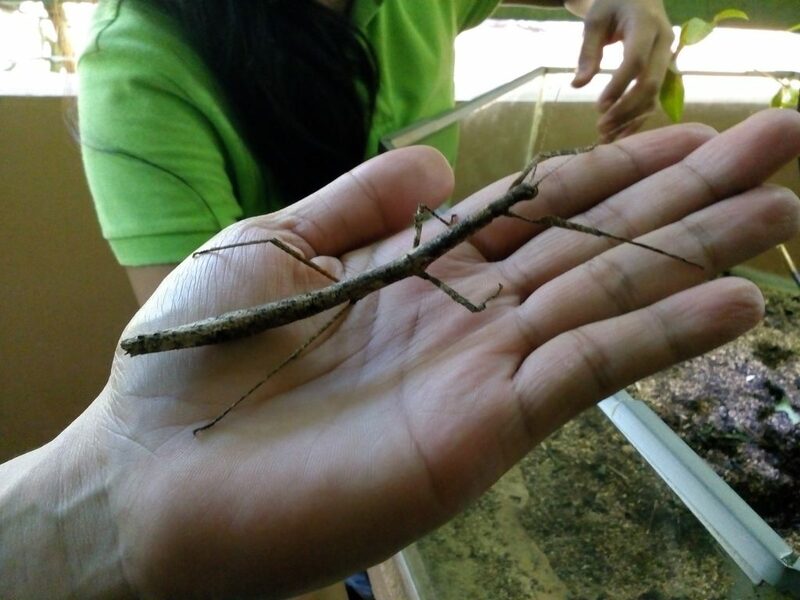 Those are called stick insects or phasmids, like this. 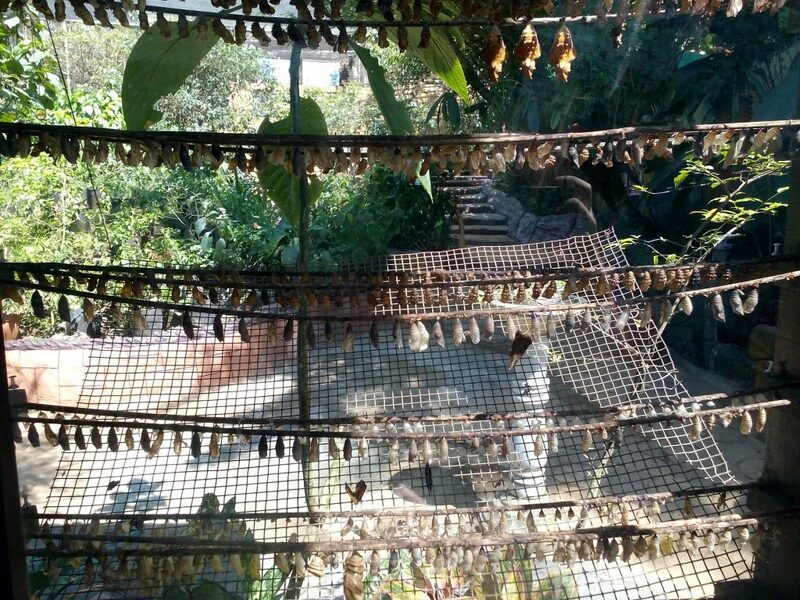 There are many species of butterflies here. However, it is noticeably few compared to the created house for them. I found an area wherein butterflies are fed with a sugar-like mixture. 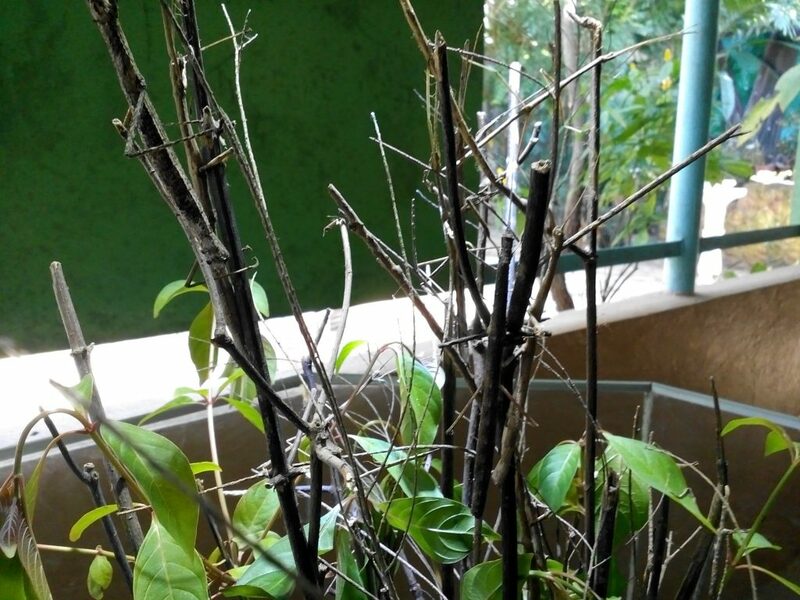 One of the staff told us that they provided it as an alternative for the butterflies because the flowers around are currently few and not blooming enough, meaning the butterflies do not have adequate food. 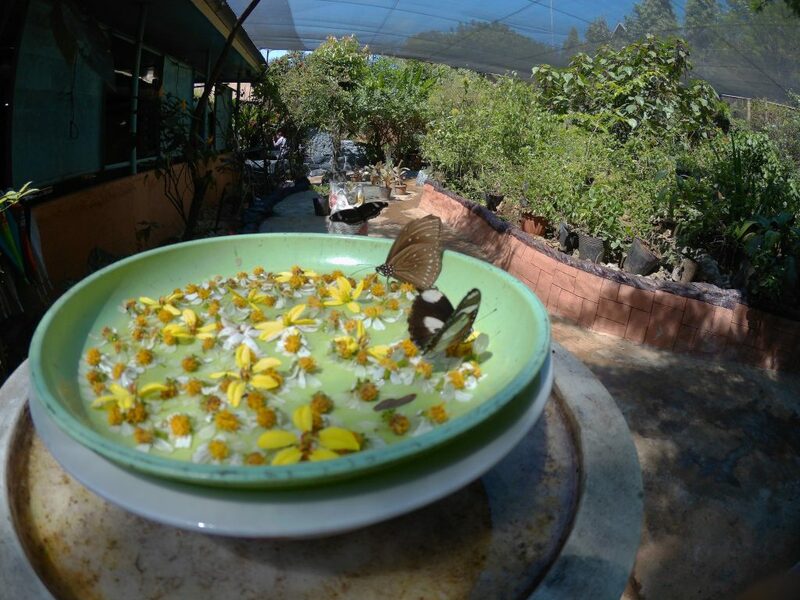 Butterflies being fed on alternative source of food. I tried consulting Sonny because he’s the one that has BS in Biology to have this article done. As you may notice, this was the last installment for the city tour articles. I can’t go any more scientific than this! 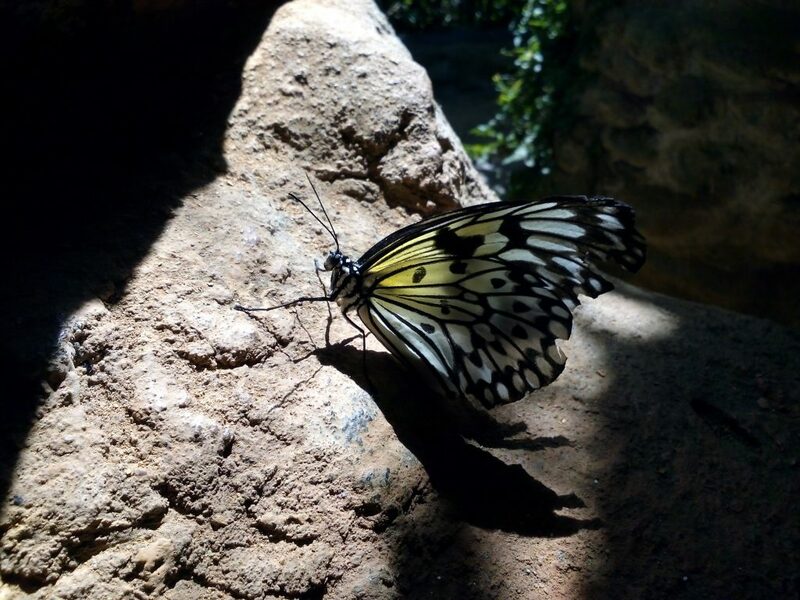 I love how this butterfly poses for a photo. At first, we thought this is just a dried leaf. We then just enjoyed roaming around the relatively small place (already big for the butterflies) while listening to our very fluent linguist, story teller tour guide. You can also go self-guided as well since plants have their name plates. But I suggest to follow your tour guide to have better appreciation of the place. I think Sonny really enjoyed the place. What do you think? After roaming around the flora and fauna, you will then be invited to go pass a small door opening. You will be welcomed by bearded pigs native in Palawan on your path going to the tribal village. Welcome to Tribal Village! Noticed the unique symbols? 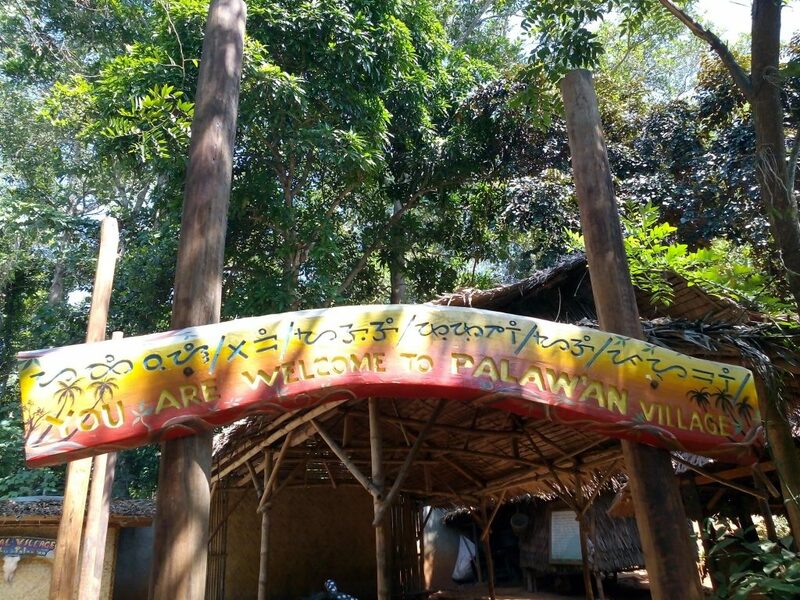 Palawan Tribal Village aims to give visitors a cultural and historical background of the indigenous people of Palawan called “Palaw ‘an”. If I remember correctly, or Pal awan”. It was told that they are the first to have a settlement in the area. Our tour guide presenting some of the stuff of the villagers. 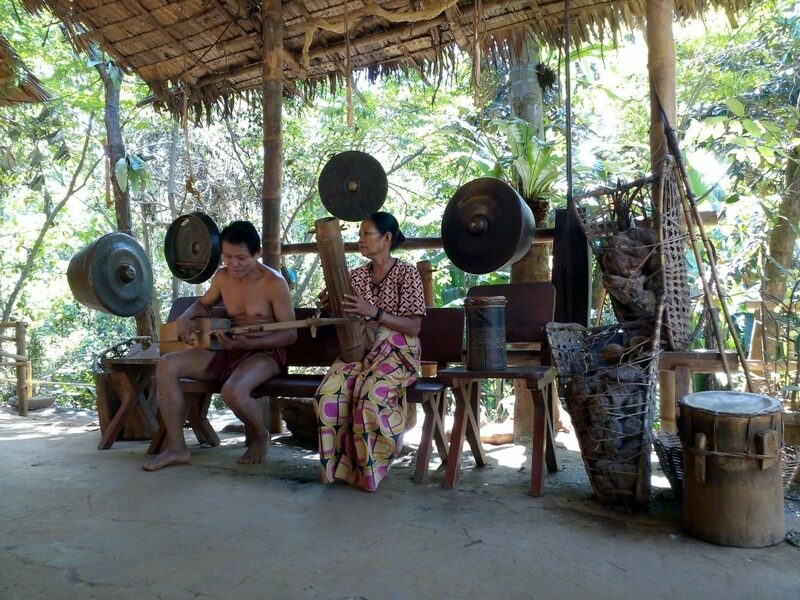 Their musical instruments are uniquely entertaining, it is somewhat they have their own version of the typical guitar, violin and other instruments as how they emit musical sound. They also sing to us their song. Although we couldn’t understand what the song is, it gave a relaxing melody to our ears. The villagers playing a nice hymn for us. We are talking about primitive but efficient ways of living here, so why not include a demo on how to start a fire? Using two flint stones, a guy had successfully started a fire in front of our own eyes. Yes, we can just use a match to start a fire. But isn’t it great to witness where manufacturers got the working idea in creating matches? Left: A fire is about to start. | Right: Bagtik, their main product. They also have their own alphabet and dialect, so if you wanted to speak to the villagers, you need to have an interpreter do it for you. The people staying in the village here is always temporary as they are coming back to the mountains after trading their goods. But others already find a permanent settlement in the city and went to school just like other people in the town. 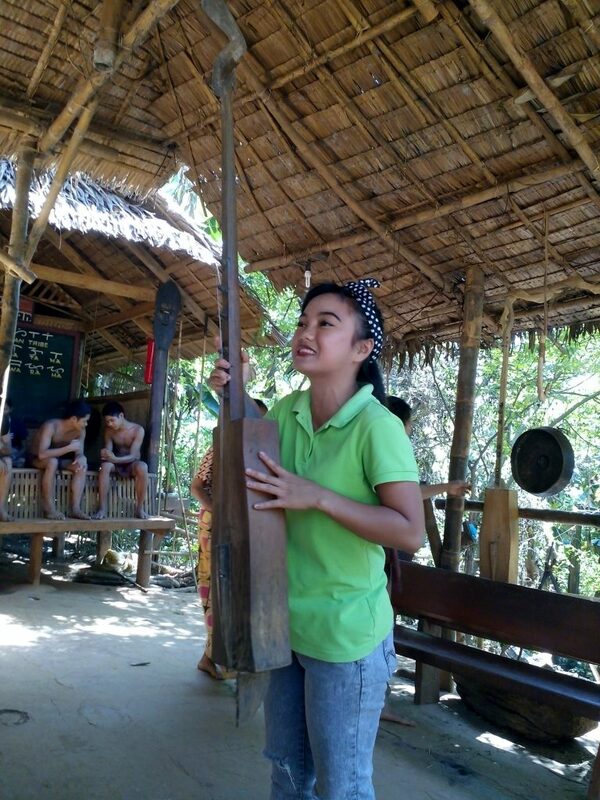 Our guide was also a villager, proving her fluent dialect. A bag, the Palaw’an version. Used to carry merchandise brought down to mainland. One of the main products of the villagers is what they call Bagtik. It is a hardened plant sap similar to an amber, only the latter is a fossilized tree resin. Bagtik is being traded on the main town by the Palaw’an. 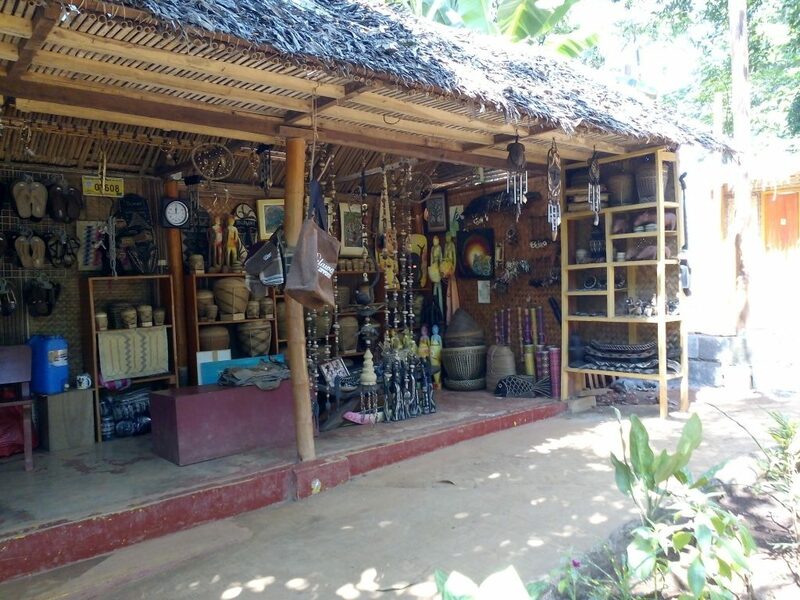 Souvenir and merchandise shop inside the Tribal Village. Unfortunately, we need to go before the presentation ended as we are running out of time. We are unable to witness other demonstration as well as the large python being taken care of by the villagers. We hurriedly went out and rode the tricycle on our way going to Palawan Crocodile Farm. 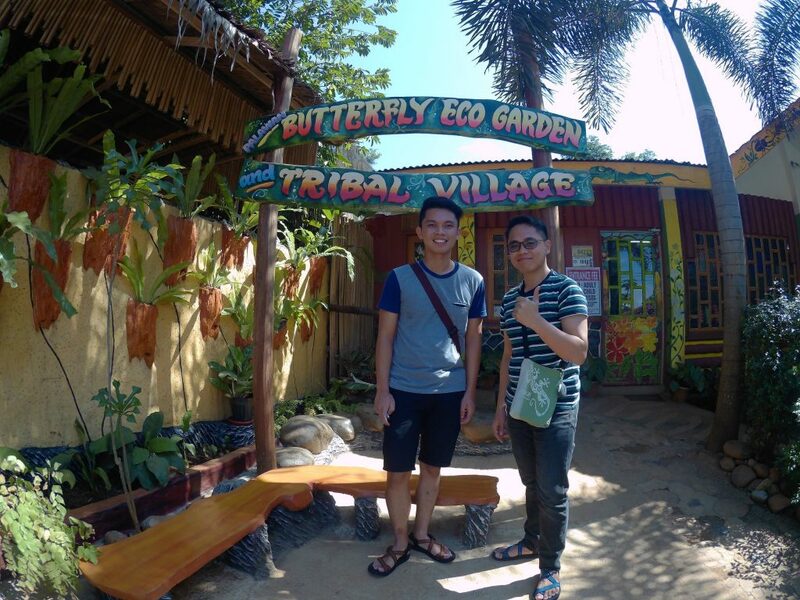 For me, the most interesting part of our visit here in Palawan Butterfly Garden is actually the Tribal Village. 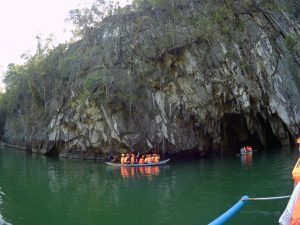 You can’t have that experience on any other tourist spot in Palawan. This place ended up as a must visit. I am sorry for slashing it out of our original itinerary. I may have missed this educational one. 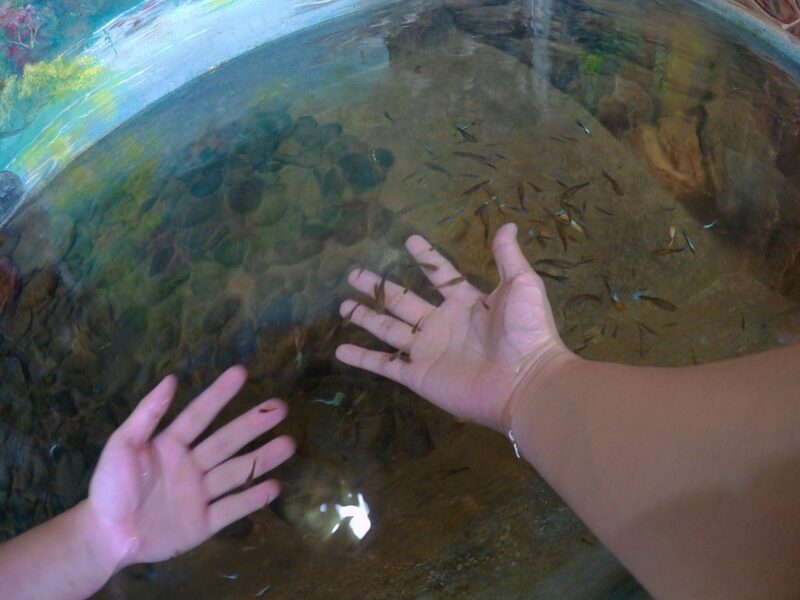 If you are the person who finds interest on different people’s culture, this place is a must visit for you, including also the relaxing feel from the butterfly garden. 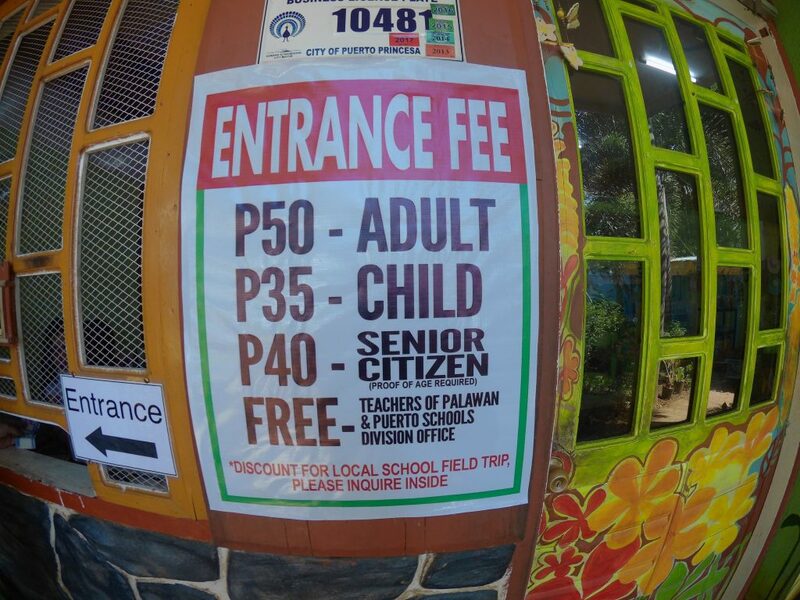 And before I forget, Entrance fee matrix for Butterfly Garden and Tribal Village.